Spending time with family and friends outside is one of the most reinvigorating and enjoyable uses of free time. 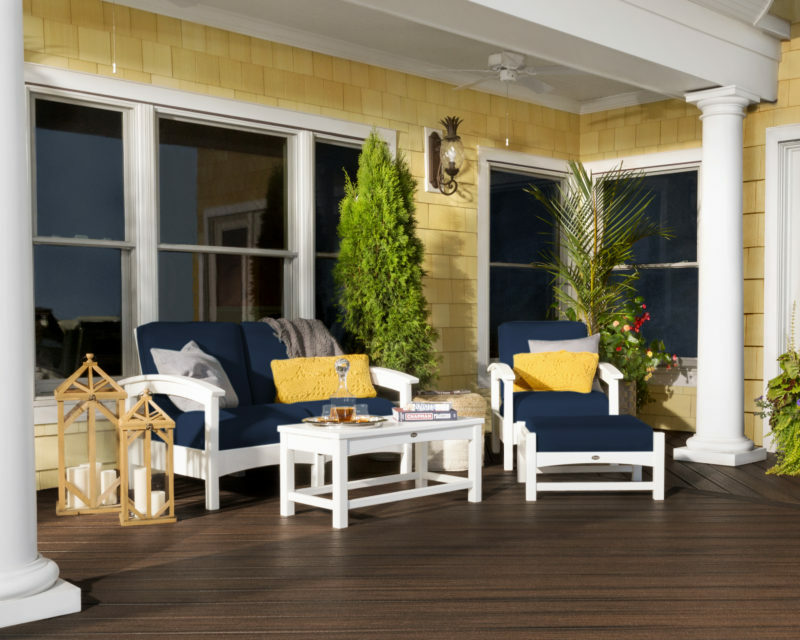 When outfitting your deck, patio, or porch with durable outdoor furniture you must choose between several contenders, including slatted Adirondack chairs and gentle rocking chairs that can withstand the elements and deliver hours of comfort. However, if you want the ultimate furniture piece for prolonged rest and relaxation the top choice is obvious: a cushioned deep seating sofa or set. 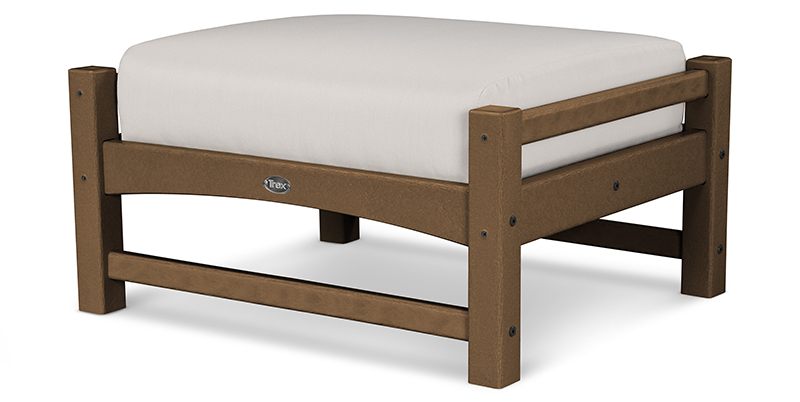 Deep seating utilizes plush and supportive cushions to protect against sore spots or aches all day long. We’ve broken down the key factors of outdoor deep seating cushions and how they make or break outdoor furniture deep seating so you can shop for a set online without worry. The selling point of a great deep seating outdoor chair, settee, or sofa is the combination of elegance and comfort. The cushions are the focal point and the primary support within the furniture piece, so selecting deep seating with a sturdy yet relaxing deep seating cushion is perhaps the most important piece. Your deep seating cushions should contain firm, high-quality interior material that will not crush or lose its shape after a few uses. Standard foam cores might look professional at a glance, but one month in your outdoor deep seating furniture will appear worn. Instead, go for high-density cushions that display bounce back and resiliency for long-lasting comfort. If you will be leaving your deep seating furniture outdoors you need durable upholstery for the cushion cover material. We solely use Sunbrella® fabric because it is specifically engineered to repel rain, withstand all types of weather, and retain its color in outdoor environments. 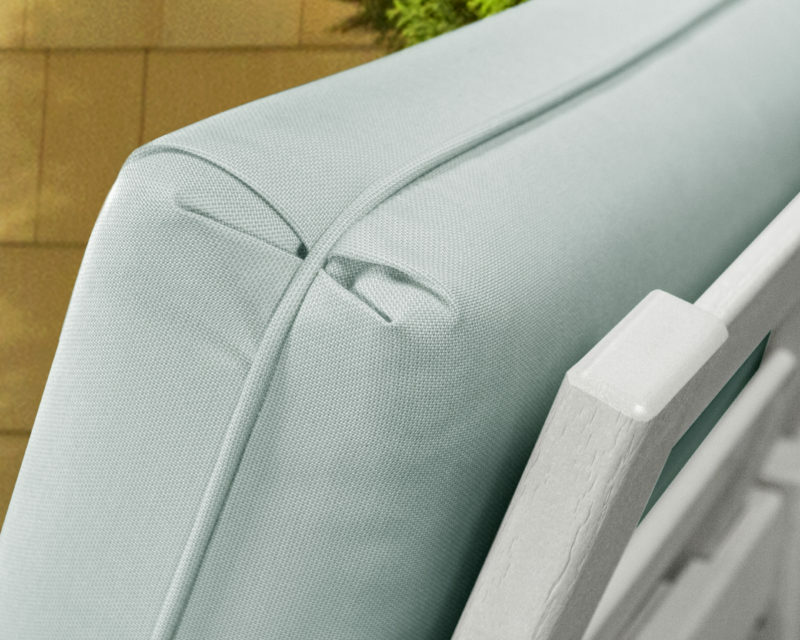 When you buy outdoor deep seating cushions covered with Sunbrella fabric you can leave them on your back porch year-round. No matter how comfortable and weatherproof your cushions might be you’ll still want to invest in a choice that is stylish and allows you to incorporate your own personality into the design. 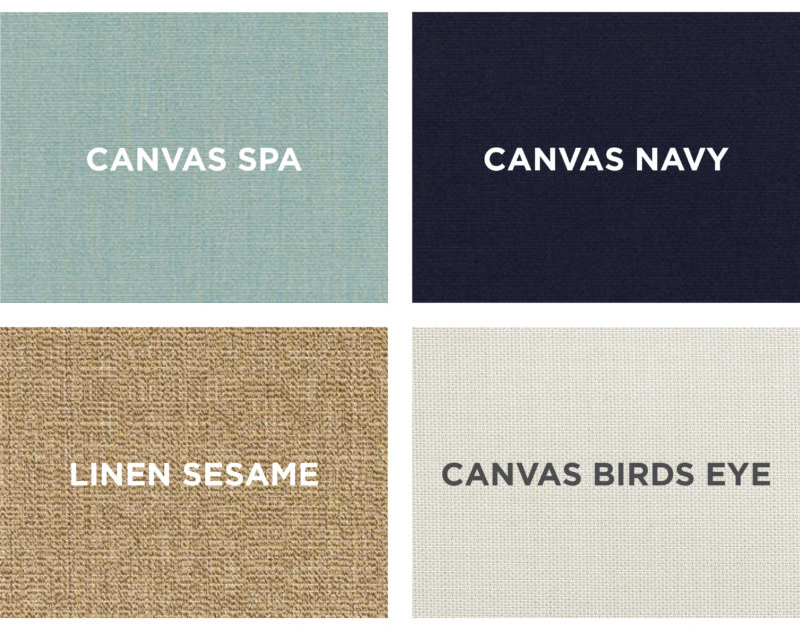 Select colors and patterns that really bring your space alive. Cushions are a terrific way to infuse color into outdoor furniture that may otherwise be dominated with neutral or Earth tones. At Trex® Outdoor Furniture™ you can choose between eight vibrant color options. If you decide to spring for a full Rockport Club 6-Piece Conversation Set you should take the time to measure your porch or other outdoor space before you order the furniture. Ideally, there should be two feet of space between each chair, sofa, and side table so you can navigate around the furniture without much trouble. At least two feet of space is recommended around the border of your sitting area so you can enter and exit the conversational area without hassle. Another aspect to keep in mind is the seat depth of the deep seating furniture you plan to buy. When you opt for a better build quality, as we discuss below, it’s in your best interest to select furniture in which you’ll be able to be naturally comfortable. Sofas and deep seating chairs have seat depths that typically range from 20” to 24”. 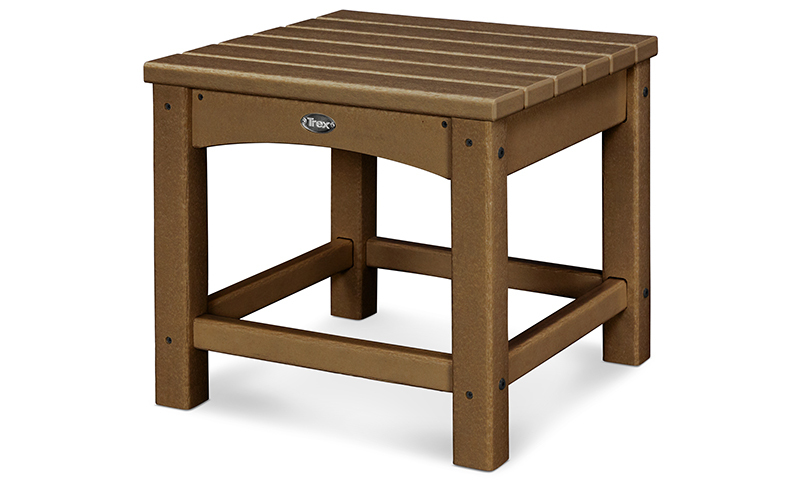 A deep seating cushion with a seat depth of 20” to 22” will allow people of most heights to sit up comfortably, making activities like eating, drinking, and talking easier. However, if you want to lounge straight back in your seat and let the deep seating envelop you a seat depth of 23” to 24” is what you’re looking for. 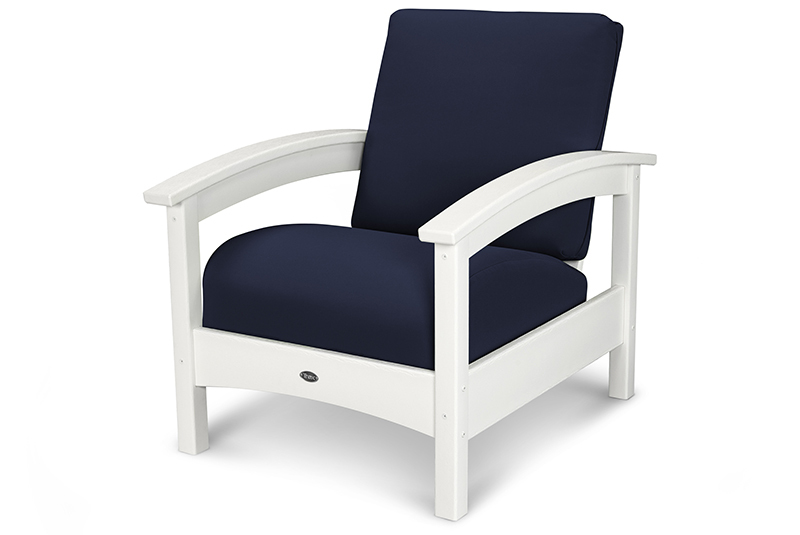 All of the deep seating outdoor furniture in our Rockport Collection has a seat depth of 21” and a high-density interior for a great combination of upright support and time-tested comfort. Your outdoor deep seating furniture must stand up to the rigors of being outside while still looking great all year. When shopping your optimal choice is a piece that is finely crafted with a focus on durability, quality, and longevity. The build material should be completely weather resistant and held together with marine grade metal hardware. Pay for something that will last through the years without rotting, cracking, chipping, or rusting. Softwoods like pine are plentiful and cheap. Their low cost comes at a considerable price: the wood is not durable, and will easily become scratched, dented, and degraded over time. Maintenance is more involved, as these must be stained regularly and may only last a few years. Hardwoods like oak are longer-lasting than softwoods, but plenty of maintenance is necessary for them to look great in outdoor conditions. You will need to stain and varnish hardwoods every two years. Strong weather conditions and extreme environments will negatively affect the wood’s quality and appearance. Teak is a more resilient hardwood and creates its own oil so staining and varnishing are not necessary. Teak must be rubbed down and treated often to avoid “silver patina,” which can ruin its appearance. Teak is one of the most expensive options and is only available in the traditional “teak” color. Frankly, wicker is a bad idea if your furniture is going outside. The woven material of wicker looks attractive, but when wicker is exposed to the elements its lightweight nature means it can be damaged quickly. Due to its woven construction wicker is also difficult to clean if dirt or debris makes its way between the strands. Wicker is a less expensive option that is better for indoor furniture in a sunroom. HDPE lumber is a synthetic resin used to craft durable, high-quality outdoor furniture. HDPE lumber provides luxury, resilience, and comfort and is manufactured to last a lifetime. Made from recycled milk jugs, this lumber is completely weatherproof and is simple to maintain. Another benefit is the lumber can be colored to nearly any shade. This superior quality is reflected in the cost of HDPE lumber. 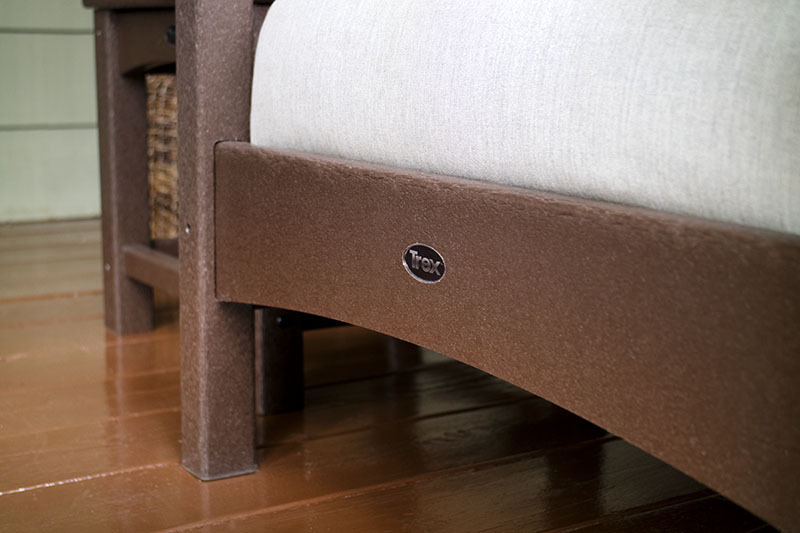 At Trex Outdoor Furniture we exclusively use HDPE lumber to provide customers with pieces they won’t have to replace. Some outdoor furniture items are best accessorized with a cushion that provides extra padding. Your outdoor deep seating furniture will come with top-quality cushions, so consider what other elements you can use to customize your outdoor relaxation haven. One unique way to add dimension to your space is to mix and match outdoor furniture so there’s a style of chair for everyone. If you set up a Rockport Club Sofa on your deck you could flank it with two Adirondack chairs for a blend of styles. If you have trouble selecting an Adirondack chair simply read our guide to choosing the ultimate Adirondack chair. Prop your feet up and doze off in the warm afternoon sun with a Rockport Club Ottoman to match any of your outdoor deep seating pieces. The Rockport Club 18” Side Table is a wise addition if you plan to sip drinks, eat snacks, or read a book in the comfort of seating area. If you place your deep seating furniture in an outdoor space without a roof you can install a Tilt Market Umbrella right beside it to give your chair or settee a relaxing amount of shade throughout the day. Choose between a variety of canopy colors for the perfect finishing touch to your outdoor conversational hub. With a little research you can find the perfect outdoor deep seating cushion and the right build quality for your space. Shop today and select a beautifully-crafted outdoor deep seating option constructed from HDPE lumber that will last for decades. Cushions for Trex counter chairs?